Quarry Bank Mill in Styal, Cheshire is one of the best-preserved textile mills of the Industrial Revolution and now forms part of one of Britain’s greatest heritage sites, supported by a unique and nationally significant archive and collection and cared for by the National Trust, showing how a complete industrial community lived, and how society changed forever. Designated as a Grade II listed building, Quarry Bank Mill was built in 1784 and inspired the recent Channel 4 TV drama series ‘The Mill’. 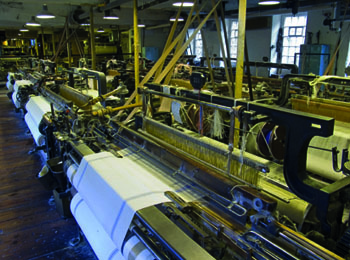 Visitors see and hear working textile machinery, the waterwheel and steam engines that powered these machines to produce cloth. They can also find out about how the workers’ lived and worked by visiting the Apprentice House and Styal village. Raw cotton was transported here from the port of Liverpool via the Bridgewater Canal. The estate surrounding the mill was developed and farm buildings in styal were converted to house workers, together with a chapel and a school. The Quarry Bank Mill Estate is now undergoing a complete makeover. The 19th-century glasshouse and gardens are being restored, and new buildings previously closed to the public such as a Workers Cottage and Quarry Bank House, where the owners of the mill lived, will be opening. The National Trust needed to monitor rooms within five buildings spread across the property. Requirements were diverse, ranging from monitoring the long exhibition galleries, historic room settings and machine floors at Quarry Bank Mill, together with Quarry Bank House and Workers’ Cottage, through to the Apprentice House and the Collections Stores with historic furniture and sensitive archival material requiring close environmental control. “These places and items required monitoring to allow us to record the stability of the environment and to understand the impact this has on the building itself and the objects displayed and stored in them,” explained National Trust Archives and Collections Manager Alkestis Tsilika. Prior to the installation of the monitoring system, the National Trust relied on standalone loggers in the stores, which needed to be manually downloaded and spot readers for the other spaces. The client was not able to monitor the conditions in all its buildings and the impact of the conditions on the collections. “We are entirely satisfied with the service provided. The staff were all very approachable and dealt with our request very quickly – no more than two months from our initial inquiry, the site visit and quote to installation of the equipment.” Alkestis Tsilika – National Trust Archives & Collections Manager. “We chose Hanwell for this project because of the strong relationship between the company and the National Trust and its understanding of its standards and requirements,” added Alkestis Tsilika. 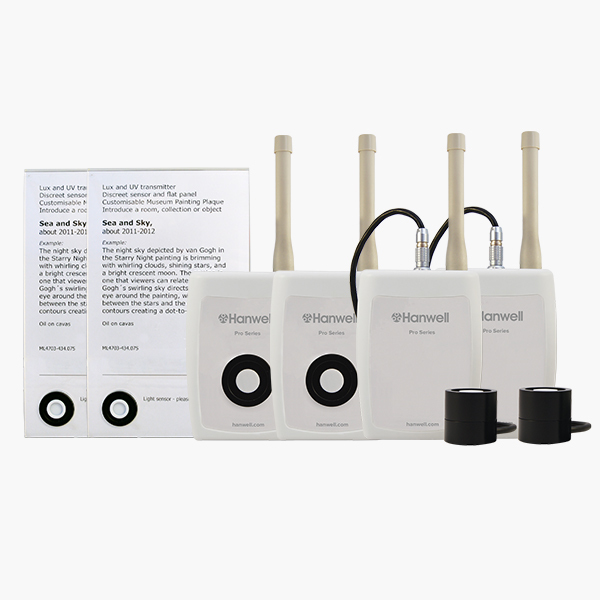 Hanwell Inc. has extensive international experience of sensitive monitoring and control of often priceless collections in challenging environments, and due to the scale of the Quarry Bank site and distance between the numerous buildings, a radio-telemetric Hanwell Pro system was selected. Fourteen RH/T loggers and two Lux readers now cover the site and may be extended in the future. Alkestis Tsilika, National Trust Archives & Collections Manager. Large site with varied monitoring requirements from buildings to machinery and historic furniture to archival material. The National Trust is a conservation organization that looks after historic sites throughout England, Wales and Northern Ireland. It has more than 4.5 million members, 62,000 volunteers, and an estimated 100 million visitors. A radio-telemetry Hanwell Pro system with 14 RH/T loggers and two Lux readers now cover the site and may be extended in the future. Data is provided to allow users to understand a buildings environment in order to preserve the collection long-term. Stability of the environment is recorded. Ability to monitor the machine floors to ensure the client is maintaining the right conditions whilst being as energy efficient as possible. End of reliance on manually downloaded standalone loggers and spot readers.